With over 2,000 alumni of the Fulbright Ireland program, the Commission has an active community of Fulbrighters in Ireland and abroad. Alumni are now easily searchable on the website. We encourage all Fulbright Alum to send us updated biographies and images for their profiles. We also encourage Alum to help spread the word about their own Fulbright achievement by mentioning their Fulbright status in e-signatures, social media profiles, and biographies for articles and events. Please do keep us informed of your activities and whereabouts so we can continue to build the network. We always love to hear updates and are happy to share events, exhibitions, or lectures that you may be involved with. 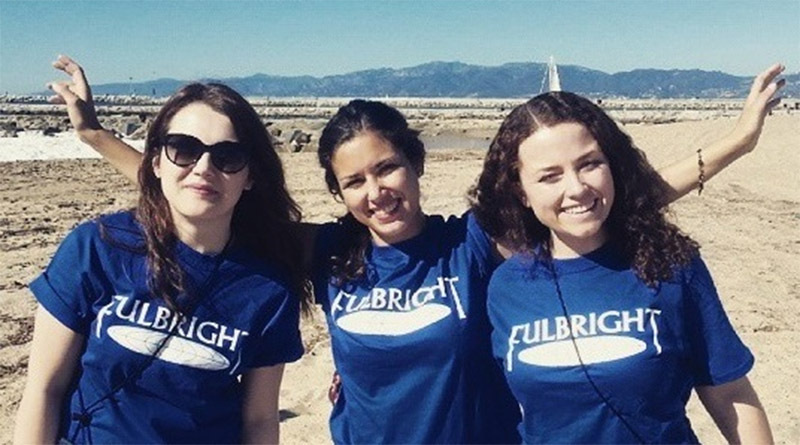 Please email emma.loughney@fulbright.ie to share information or update your Alum profile.